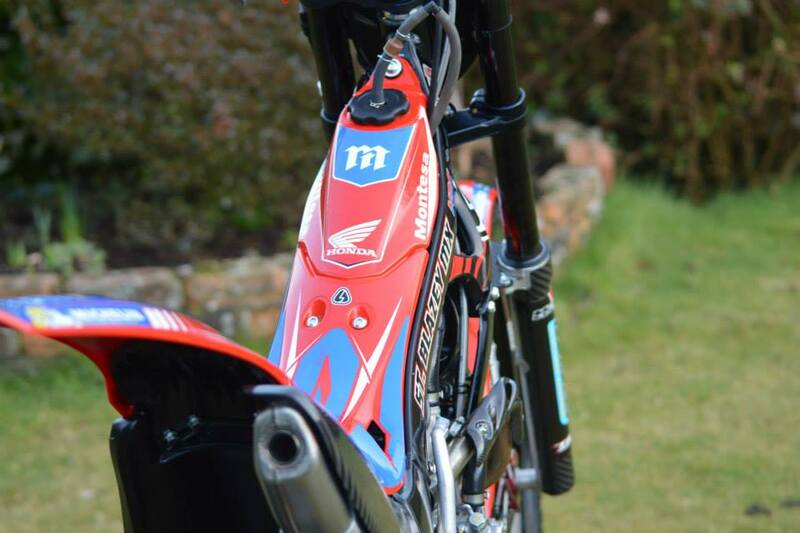 Take a closer look at Ricky Wiggins' new look St Blazey MX Montesa/Honda 4RT graphics as designed by Amped. Ricky will be competing on the new 4RT machine in the British Trials Championship and S3 National Series with support from Honda UK, St Blazey MX and Apico Factory Racing. Want Amped to Design your Trials Bike Graphics?